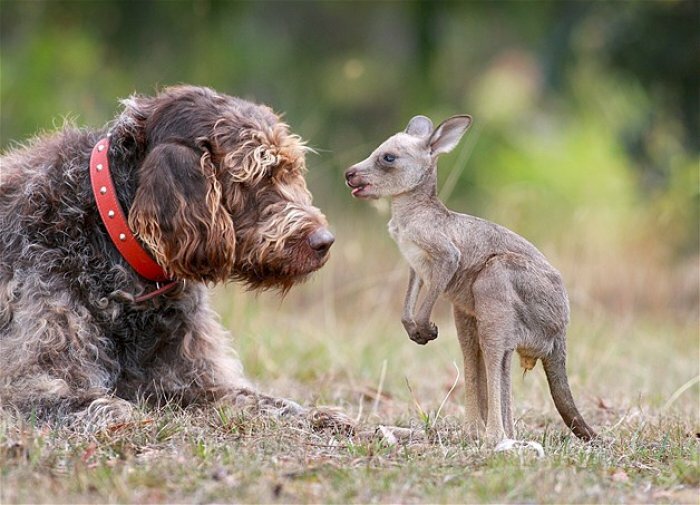 You won't Believe the Friendship Between these Unlikely Animal couples. Sometimes a friendship so unbelievable happens between different species of animals, that you would think it's straight out of a Disney movie. However, in the next gallery that is still exactly what happened. Against all the odds. 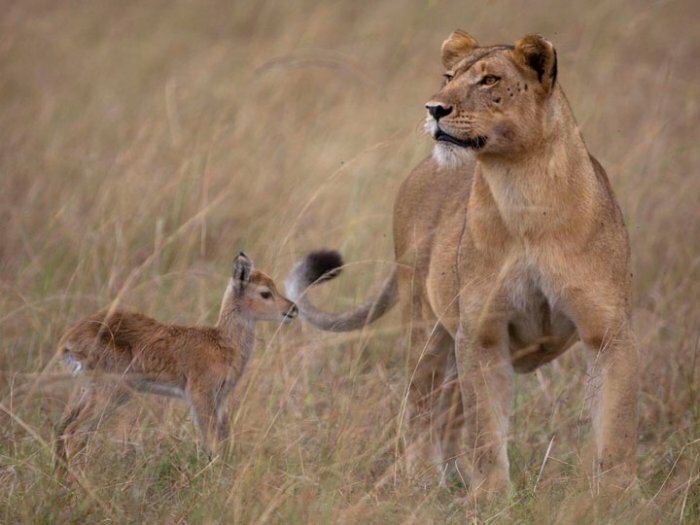 #1 - Apparently after killing the mother of this baby antelope in the Uganda's National Park, this lioness decided to adopt it. The photographer Adri De Visser said "The lioness was really confused and they stood there for around 45 minutes.". Other tourists later that day affirmed the calf still being alive. You can read the full story from the source under the picture. 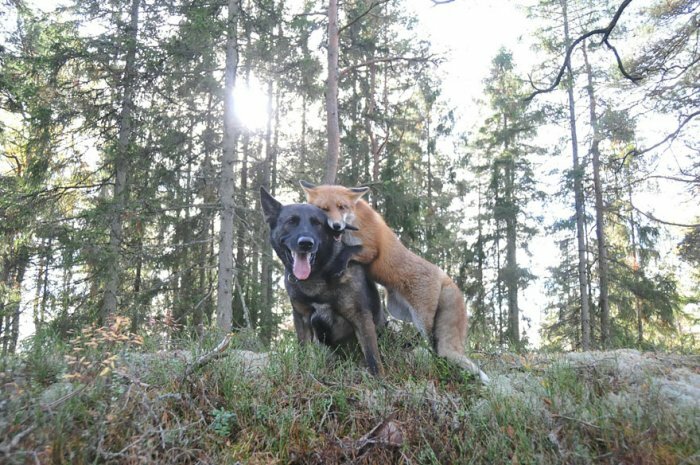 #2 - Meet Tinni the dog and Sniffer the fox, who met each other in the forests of Norway. The owner and photographer Torgeir Berge, lives in the forrest and labels the fox as the 'dog of the forest'. Berge was so inspired about the friendship that Torgeir decided to release a childrens book of the relationship with many heartwarming stories called Snusen og Tinni - Sniffer and Tinni. There is also a song available for download in iTunes. You can follow the story continue in Facebook from the source link. 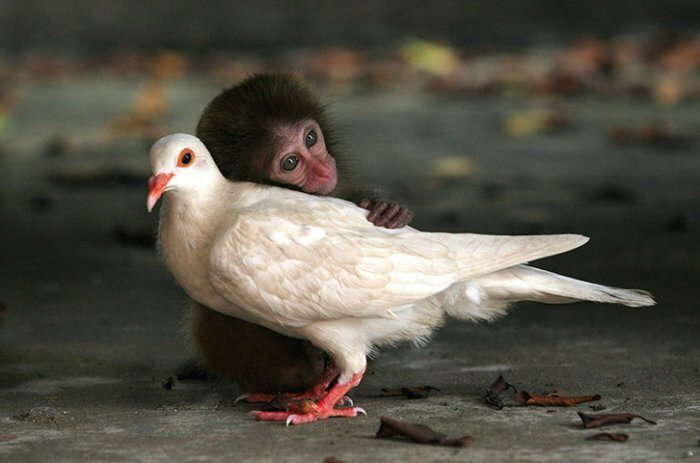 #3 - A stray macaque befriended a white dove soon after being brought to an animal protection center. These two little fellows ate and slept together for 2 months, before being released back into the wild. 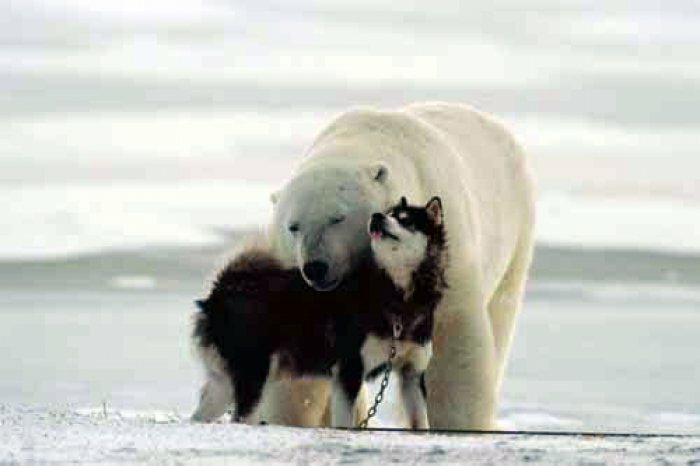 #4 - Against all the odds the polar bear and the chained dog in this picture became friends and started to play together. For the next week, the bear returned daily to visit the dog. #5 - Unbelievably the dog in picture who i like to call "Rescuer" Rex, found and saved the baby kangaroo from it's dead mothers pouch. It's quite common for Kangaroos to be involved in car accidents like this little kangaroos mother had in Victoria, Australia. "I'd taken Rex for a walk and we'd gone past the dead kangaroo that morning, and later I was working out the front and he started pointing," Ms Allan said.